What caused somebody in northern California’s Cascada Canyon 13 years ago to massacre two families, children of the counterculture, and how does that mystery tie in with the recent death of Chrystal Ackerman? 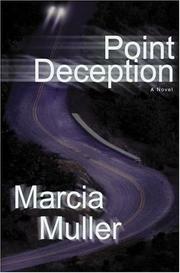 Unfortunately, Muller decides not to have her series sleuth Sharon McCone (Listen to the Silence, 2000, etc.) investigate but lets loose far less interesting sheriff’s deputy Rhoda Swift, who’s given the double charge of setting to right the Cascada debacle she bungled on her very first assignment and investigating this new tragedy, which began when not one of the many townsfolk, including Rhoda, who saw Chrystal standing by her disabled car stopped to help her—until someone finally did for less than Samaritan reasons. Also on hand to puzzle out the Cascada/Chrystal stories is famous author Guy Newberry, come to town to write an exposé of the case at the urging of a family member of one of the Cascada massacre victims. A tale of two former hippie couples settling in the canyon, a buried treasure, and malfeasance from Rhoda’s superior gradually emerges in flat, tepid prose—aided by dreary stream-of-consciousness flashbacks from not-yet-dead Chrystal, and even drearier police work from Rhoda. An interesting premise—a community’s guilt after their failure to rescue a damsel in distress—plunges into cliché and insipid writing. A jolt of McCone would have gone a long way toward saving this novel-in-distress.